The southeast Texas area is prone to a number of storms that can cause significant damage to homes and buildings. 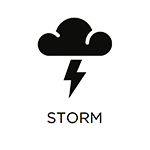 Storms such as thunderstorms and hail storms that consist of strong wind and precipitation can happen at any time and they are always a threat to cause damage to your property. During certain times of the year, more severe storms like tornadoes and hurricanes can occur in the area and cause widespread property damage and flooding. Any damage that you experience on your property from a storm, whether from a thunderstorm or hurricane, needs to be addressed immediately or the damage will get worse. 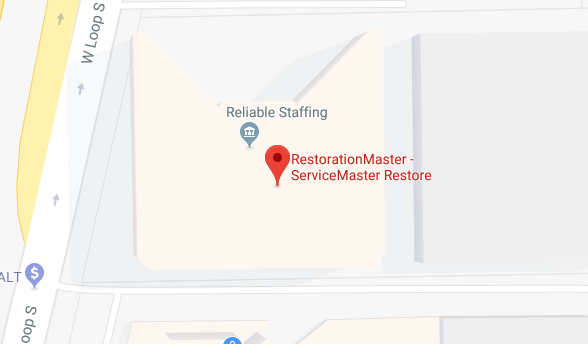 ServiceMaster Restoration & Cleaning can help homes and businesses in Fall Creek and Humble, TX that have been damaged in a storm with our complete storm damage restoration services. Our technicians can effectively stabilize and repair homes and commercial buildings that have experienced any level of damage from a storm. We can handle anything from severe structural damage to indoor flooding from excessive rain. Every type of storm mentioned above features wind and precipitation which are the most damaging factors of these storms. Homeowners and business owners in the area must always have their property prepared for these conditions. Wind causes very serious damage as it can affect the siding, roofing, and windows of a building. Winds in stronger storms like hurricanes and tornadoes can blow over homes and large objects and pick up various items and turn them into projectiles. Exterior and structural damage caused by wind needs to be addressed immediately or the building could be at risk of collapse. Precipitation is the other most damaging element of inclement weather as rain can leak through cracks or exterior damage to a building and cause flooding that can find its way indoors. Water damage can lead to serious structural issues and mold growth, especially if there is standing water on your property. A licensed professional must remove flood water using advanced equipment and ensure the area is disinfected in case the water contained sewage or other contaminants. The first thing you should do after a storm leaves your area is inspect your property for signs of damage. Some damage such as leaks or damage to the siding or roof may be more difficult to spot. If your property does sustain damage from a storm, you need to act fast or the damage could get worse. Our technicians will immediately protect your building with effective stabilization and carry out a full restoration plan based on our assessment of the damage. Flood and Water Damage: Water damage is common after a major storm because rain water can leak inside and cause flooding both indoors and outdoors. Whether there is a leak or standing water, your property can sustain damage because the water will get absorbed in surrounding building materials. This will not only cause structural damage, but also increase the risk of mold growth. Our technicians can treat materials affected by leaks and remove standing flood water, including water contaminated by sewage and other harmful materials. Board Up and Tarping: If wind or debris has caused damage to the exterior or roofing of your building, the building is open and vulnerable to further damage. It is important for homes and buildings in this state to be covered and stabilized to prevent further damage or collapse. We can effectively board up your building and put tarp on damaged roofing to keep the building protected. Structural Repairs: Once the home or building is stabilized, we can form a reconstruction plan to repair or rebuild the damage. Debris Clearing: After repairing the home or building, we will remove all debris from your property including tree branches, building materials, and other objects. The occurrence of storms is inevitable, but you can give your property the best chance of avoiding damage by ensuring you are always prepared. If a storm does cause damage to your home or business, you need to contact ServiceMaster Restoration & Cleaning to have our professionals repair and restore the building. 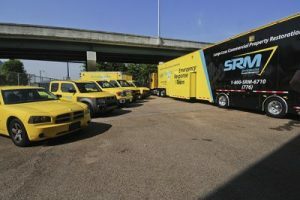 You can reach us 24 hours a day at (281) 668-5912 for storm damage emergencies in Fall Creek and Humble, TX area.